The honeyguides would surely be on any list of the most interesting birds on Earth, not because of their physical appearance, which would scarcely attract notice, but because of their behavior. Two species deliberately lead animals, including humans, to honey sources. All species are cer-cophagous, or wax-eating, and have digestive systems able to handle the substance. All are obligate brood parasites, the females laying fertile eggs in the nests of other birds. Honeyguides are tough, aggressive birds, whether they are harassing brood host birds, mobbing wax sources, or insistently leading humans to bee nests. 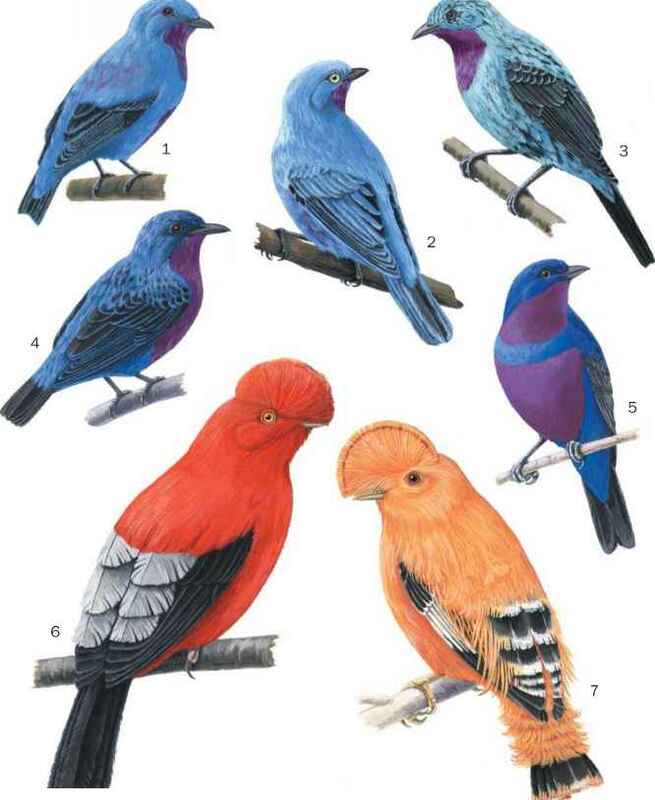 Although solitary most of the time, dozens of individuals of up to four species may converge on a wax source. Scaly-throated honeyguides will shoulder aside greater and lesser (I. minor) honeyguides, while immature greater honeyguides out-bully all other species. Several African honeyguide species, notably the greater and scaly-throated honeyguides, routinely follow and watch human activities, flying about camping sites and inspecting everything, even the tents and vehicles. All honeyguides (except the yellow-rumped [I. xanthono-tus]) sing, and add to their singing a wide and various repertoire of sounds fitted to situations. Singing honeyguides add posture to their songs, as if using their entire bodies to belt out every note, arching their necks, fluffing out rump feathers, or all feathers, and quivering the tail in time with the notes. Several species enhance aggressive or mating voicings with rustling wing sounds.